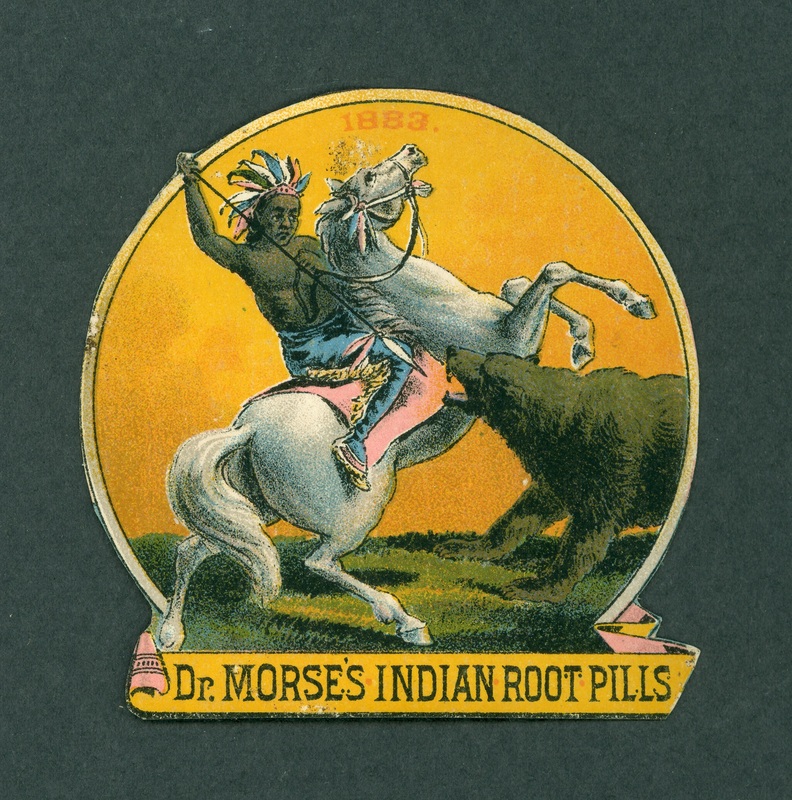 This chromolithographed label is from a bottle of Dr. Morse's Indian Root Pills. Dr. Morse collaborated with a Mi'kmaq Indian from Novia Scotia. His son followed in the footsteps of his father and grandfather (who were, he said, "both medicine men"), using the name "Doctor Lonecloud." For the fascinating story of his life and adventures in the medicine shows of the 1880s - which included Healy and Bigelow's Kickapoo Indian Medicine Company and Buffalo Bill's Wild West Show - see Ruth Holmes Whitehead, Tracking Doctor Lonecloud: Showman to Legend Keeper. (Fredericton, New Brunswick: Goose Lane Editions, 2002). Dr. Morse, “Dr. Morse's Indian Root Pills label,” The Skeptiseum, accessed April 19, 2019, http://skeptiseum.org/items/show/188.